Fish with Chromer Sport Fishing’s pro guide staff on first-class fishing trips from Vancouver, BC. 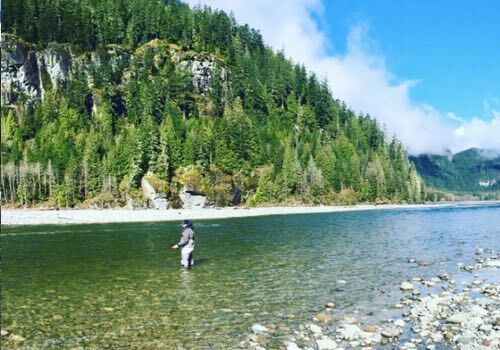 We have a variety of wild rivers within an hour of Vancouver that offer year-round fly fishing for salmon, trout and steelhead. 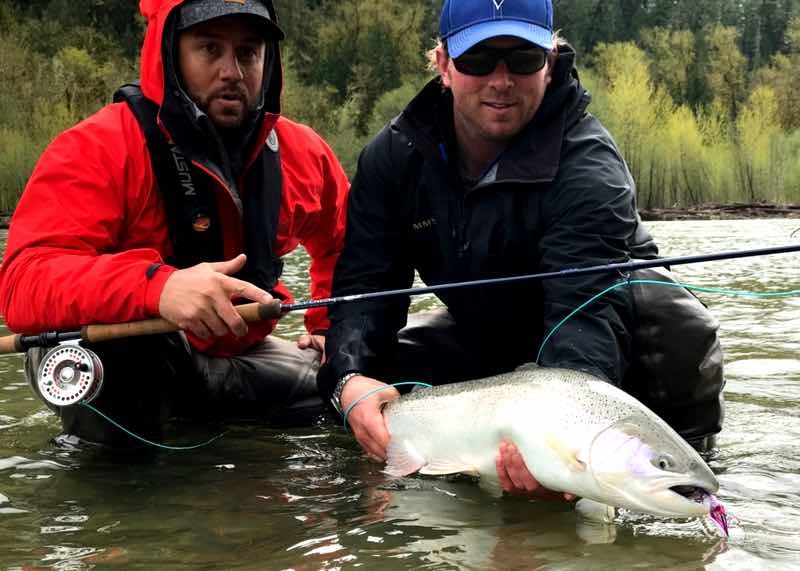 When you book your trip with us you’ll be fishing with the most experienced fly guides in Vancouver. That’s not just something we’re saying, we have an awesome crew of guides that have worked in the Sea to Sky region for a combined 60 years! 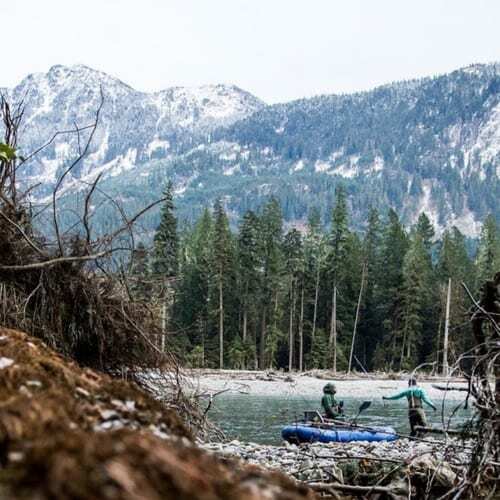 Most of us have 20+ years experience fishing the Squamish River system, this is why we’ve become the go to for guided fly fishing trips in Vancouver. 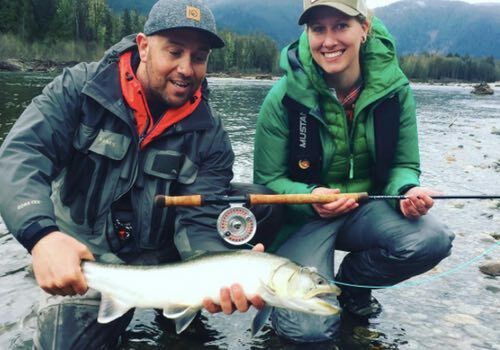 We’re proud to offer the top rated guided fly fishing trips from Vancouver, including pickup at your hotel, all gear and expert guiding. 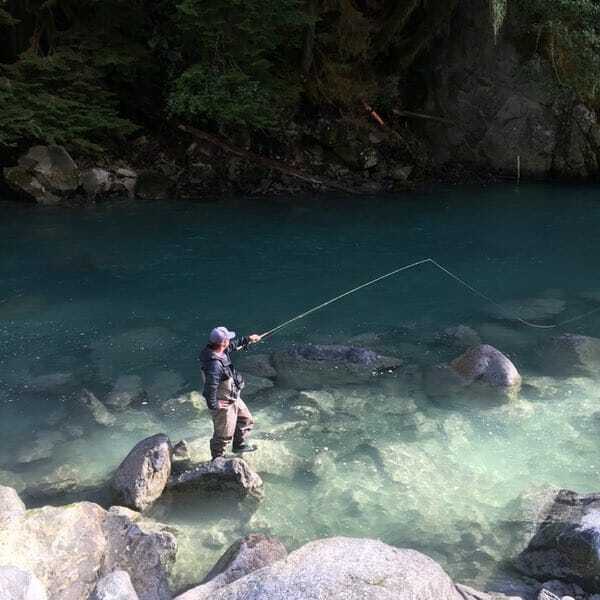 I’ve spent the past 20 years guiding in the Sea to Sky region, the area north of Vancouver to Whistler and know nothing beats local experience, that’s why we have the most experienced Vancouver fly fishing guides to get you out for a great day. There are year round fly fishing opportunities for salmon, trout and steelhead, all on wild coastal rivers within an hour of the city! 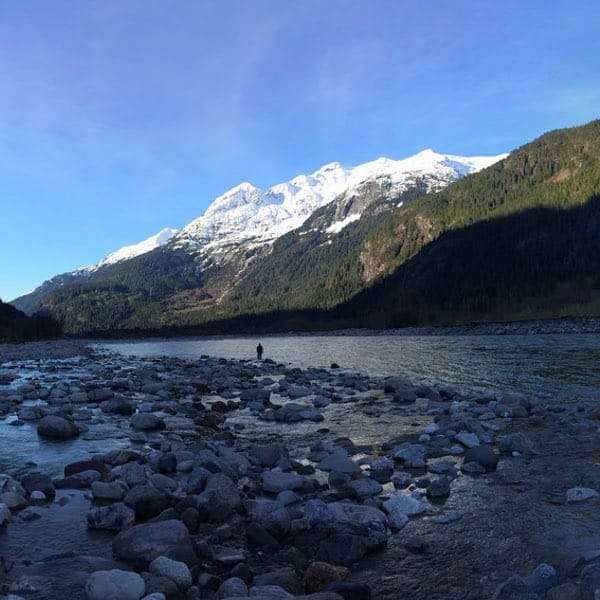 Our guided Vancouver fly fishing trips take place on the Squamish River system, about an hour north of Vancouver. The wild and beautiful coastal rivers that make up this system offer year-round fly-fishing opportunities for salmon, trout and steelhead. We generally do a hotel pickup at 7 AM, that’s when our guide will pick you up in Vancouver for the hour drive north to Squamish. Once in the Squamish Valley you’ll be surrounded by snow-capped peaks and have the pure waters of our coastal rivers flowing beneath you. 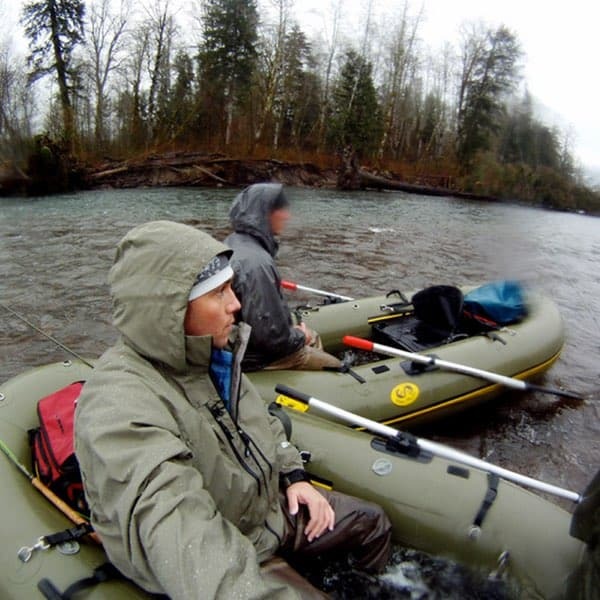 Most trips are walk-n-wade, but we do use framed rafts on drift days if conditions are amenable. You can expect to fish a variety of river stretches in a day and be back in Vancouver mid afternoon. 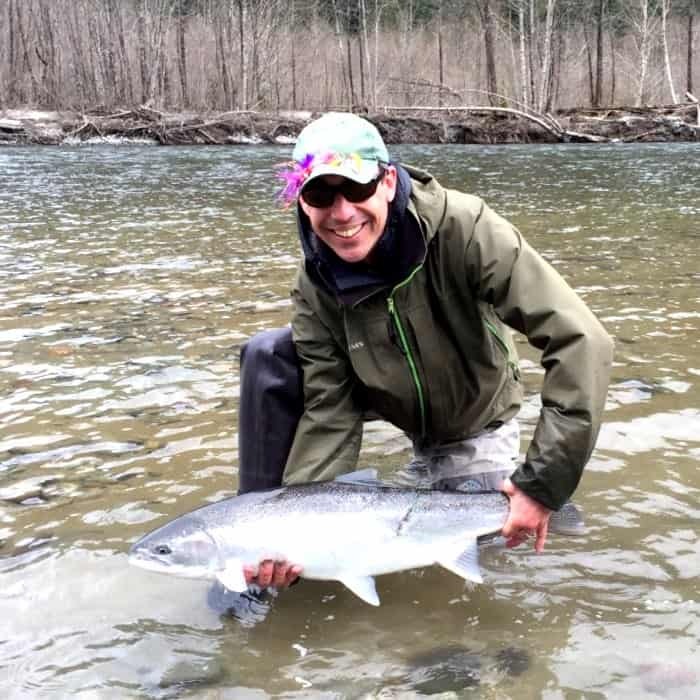 These are trips for all abilities from new fly anglers who are looking to experience an outdoor adventure, to seasoned fly anglers wanting to spend times on the wild rivers of BC’s south coast. Our friendly experienced guide staff will ensure all members of your group enjoy a safe fun day on the water. We do offer other trips as well, including fly fishing lessons, beach fly fishing and lake trips. We’re always trying to put our clients into the best possible fly fishing scenario, you can count on that! 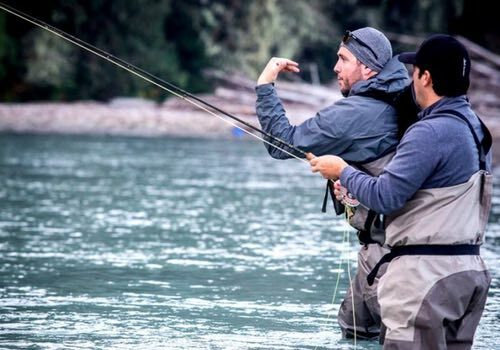 Our fully guided Vancouver fly fishing trips include everything you need for a great day on the water. 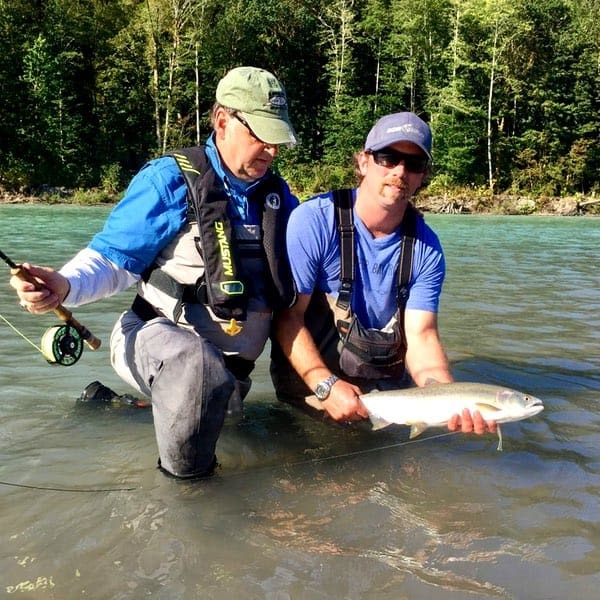 We’ll pick you up in Vancouver and have everything ready for your day of fly fishing with us! 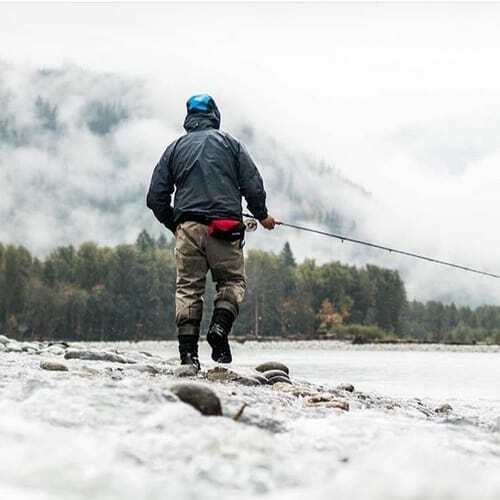 If you’re not bringing your own gear, we have premium quality wading gear and all fly fishing equipment available for a small rental charge of $39 CAD per person. Not included are fishing licenses, taxes and food. Price per person in Canadian Dollars. Making an inquiry is easy and we'll get back to you right away with availability. 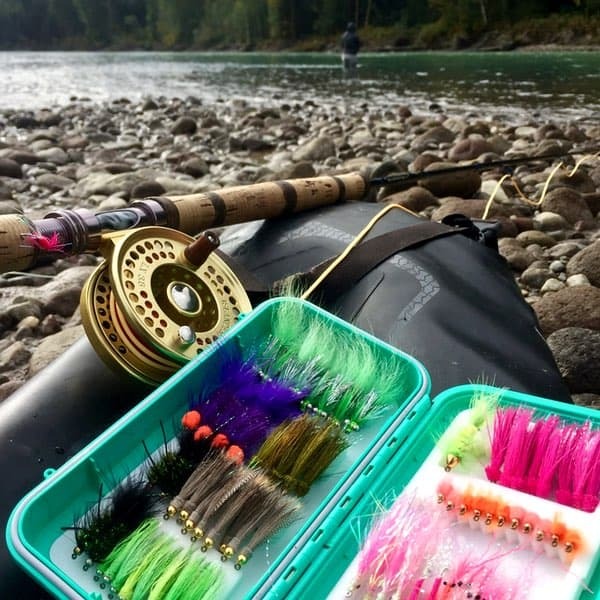 We’ve packaged our Vancouver fly fishing day trips with comfortable accommodations at either the Howe Sound Inn in Squamish BC or the Executive Suites in Squamish to bring you affordable quality packages putting you into wilderness fly fishing with no big travel plans. Both hotels have onsite restaurants and full amenities, so you won’t need any transportation and can relax after a day on the river. Most packages work with a morning pickup in Vancouver, fishing that day, staying in Squamish that evening and then fishing the next day. If you’re flying into Vancouver we can pick you up on an evening flight and drive you to Squamish, you’ll then fish in the morning the next day. Packages are flexible, we can accommodate any length and any group size. For solo anglers we have special pricing that will put you into a first class BC fly fishing experience without breaking the bank. 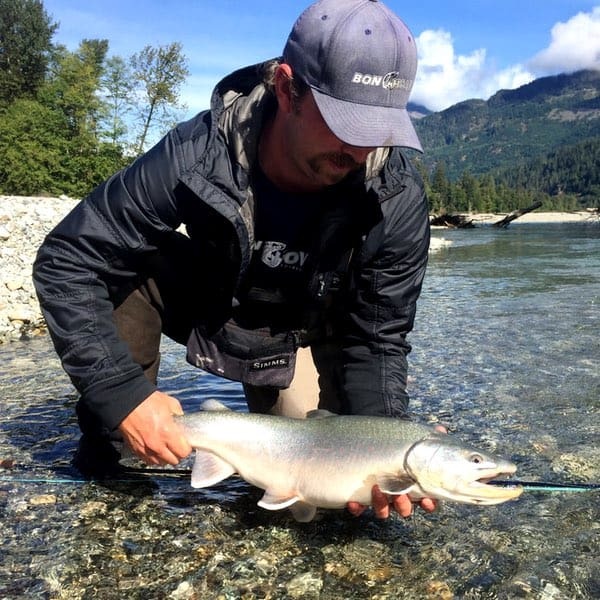 Our Vancouver fly fishing packages are most popular in the Spring months, for steelhead and bull trout, and in the Fall months for our September to November runs of Pacific salmon. For more information, availability or a quote, please contact us. 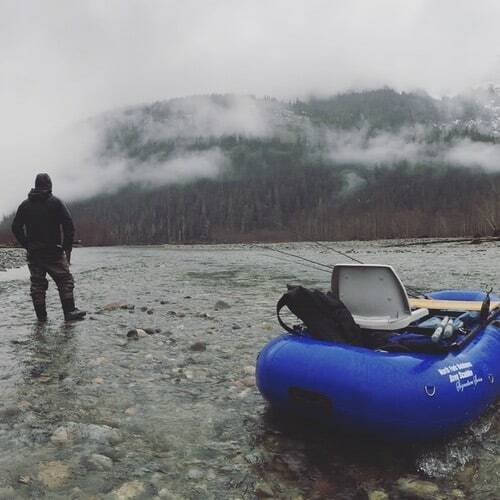 Easy to enjoy BC fly fishing packages put you on wild rivers with no big travel plans. We’ll pick you up in Vancouver or at the airport. Not included are fishing licenses, taxes and food. Prices are starting prices in Canadian Dollars based on two people. We also have pricing for solo anglers looking for packages! 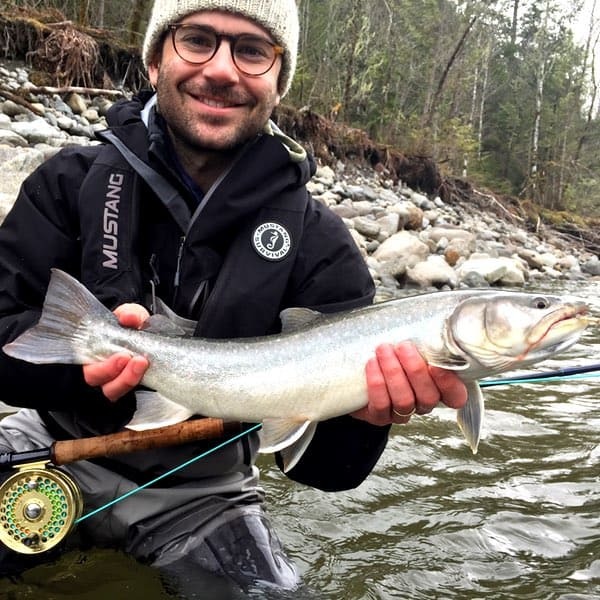 For fishing during the spring months we are lucky to have a healthy run of winter steelhead that return to the Squamish and Cheakamus rivers starting in early February with the best steelhead fishing being in March, April and early May. This can be a challenging fishery but it is also very rewarding with big hard-pulling chrome fish. The trout stick around this time of year as well and Spring trout fishing can be very very good. All of this within an hour of Vancouver! Summer fly fishing in Vancouver start in June. This is trout season, when we target resident rainbows and big bull trout. 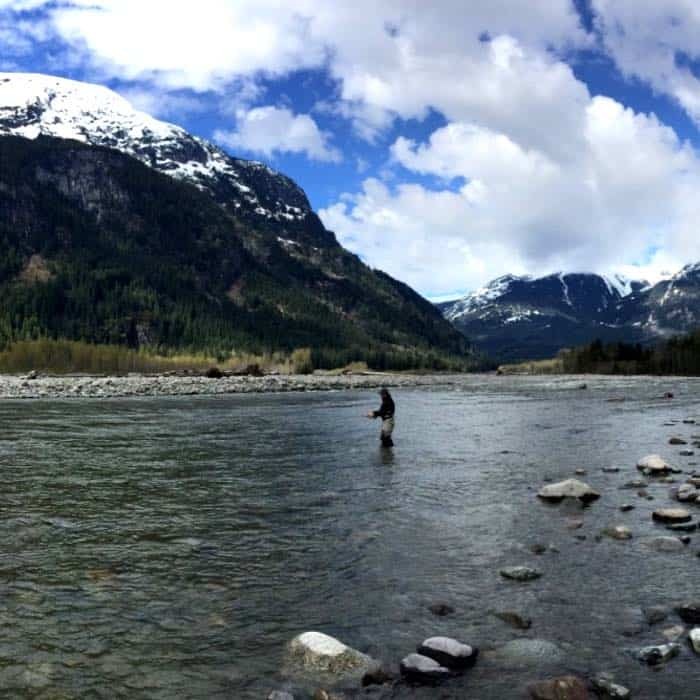 The Squamish River is usually at its highest point in June due to melting snow, but most years our smaller local rivers and tributaries still offer some solid trout fishing in June. 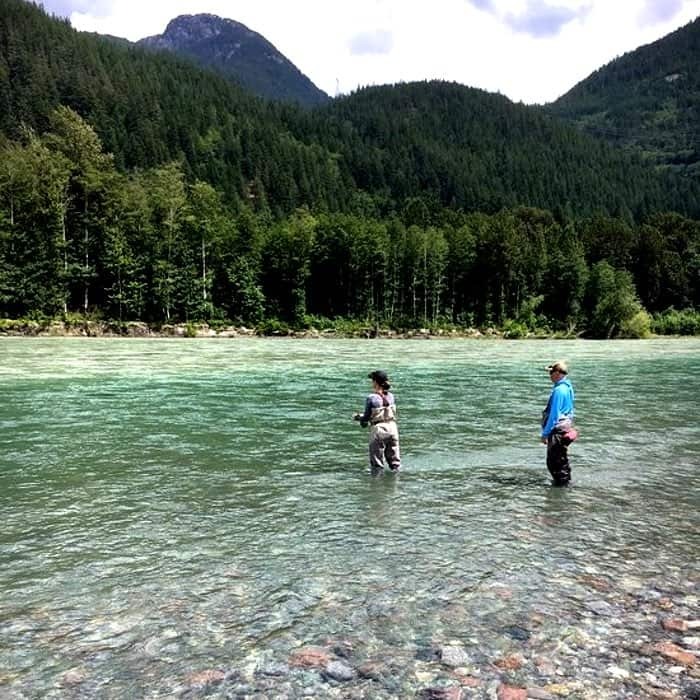 By mid July river conditions have vastly improved and by August we enjoy excellent trout fishing and our first encounters with returning salmon. On odd years (2015, 2017, 2019 etc.) 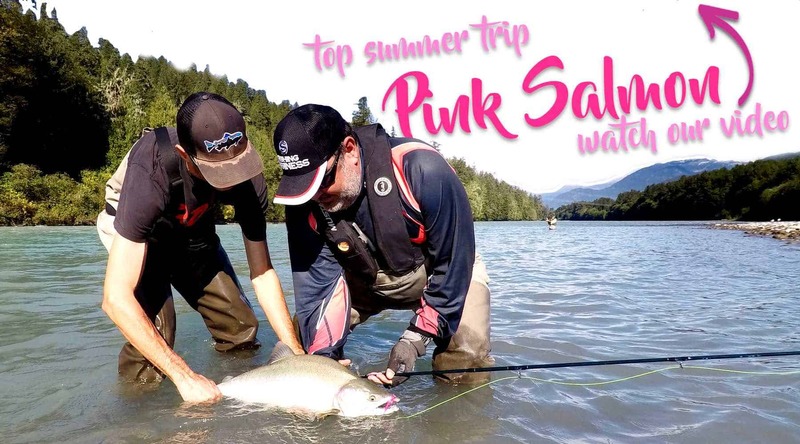 we have Pink salmon that return, offering a superb fly fishing experience. Because summer river conditions can be variable please contact us for an up-to-date report. Fall is when the salmon migration begins on our rivers and this is a fantastic time for a trip. 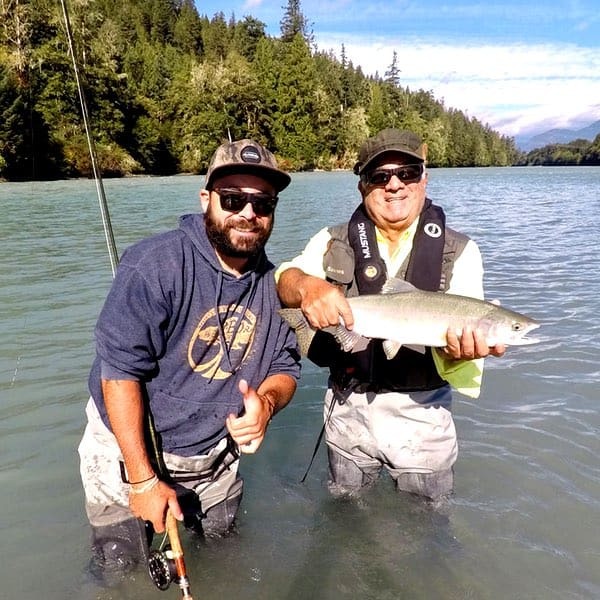 Tens of thousands of fish return to the Squamish River system and fishing from mid September to mid November for salmon can be spectacular with lots of big fish around. We fish within 5-10 miles of the open ocean and we never target spawning fish. We put our emphasis on targeting fresh healthy fish that pull hard! These are great trips, for beginner or seasoned fishing nuts, a chance at targeting wild salmon about an hour from the city. 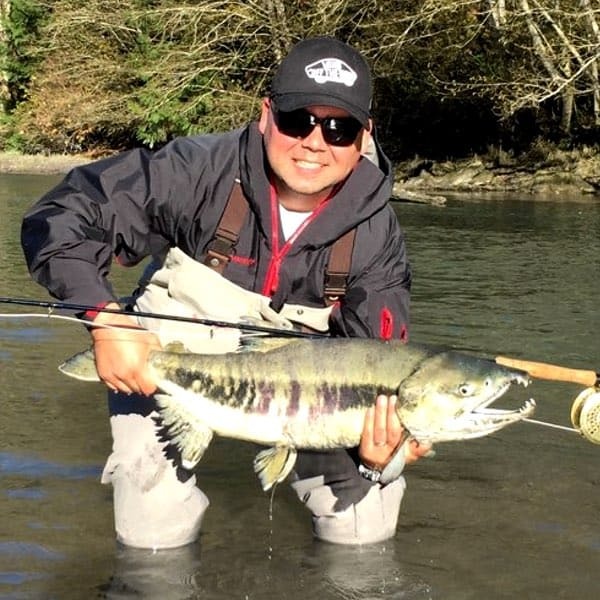 During the winter and spring is when we see some of the best fly-fishing in the Vancouver area. 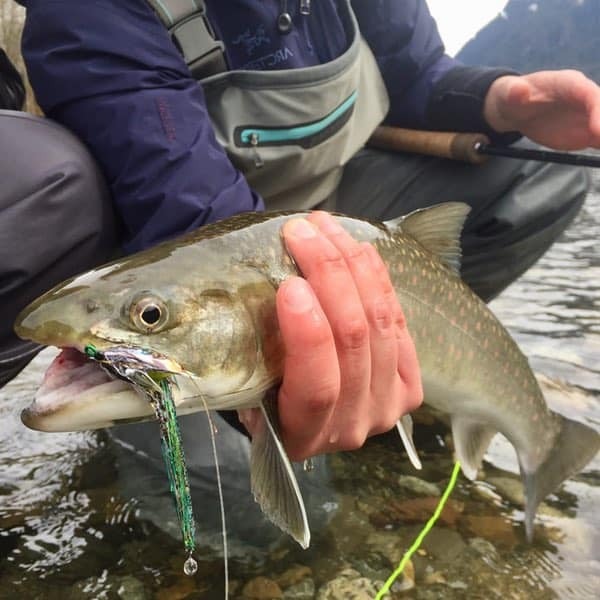 During the winter months from December through February we generally target the native rainbow trout and wild bull trout that live in our home rivers. Trudging through the snow and fishing rivers void of anglers is a great way to spend a winters day and a shot at a bull trout is something unique to the West Coast. By early March spring has sprung and fishing just keeps getting better. We love what we do and we want that to shine through on every one of our Vancouver fly fishing trips. We have assembled an incredible team of fly fishing guides in Vancouver headed up by lead guide Tom McHugh. 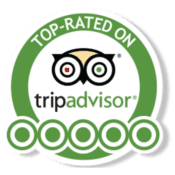 Please have a look at this independent write up on the ‘To The Wild’ website reviewing our guiding services to give you an idea of what to expect, you can also have a look at our Trip Advisor. Keep in mind, if you’re shopping around for a trip it’s important to note our guide staff is the most experienced in Vancouver, each with 20+ years of local on-the-water experience and we pride ourselves on professionalism, top quality equipment, leading safety standards and always customizing each trip to the comfort of our clients. The best place to start planning a BC fishing trip. Click to see all our trips! 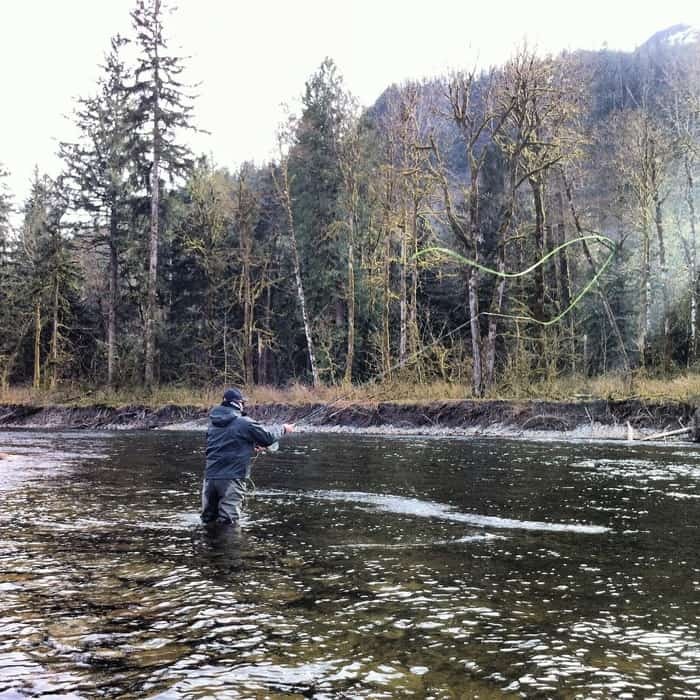 Get out fly fishing on wild rivers for salmon during October & November. Year-round fishing trips in and around Vancouver British Columbia! 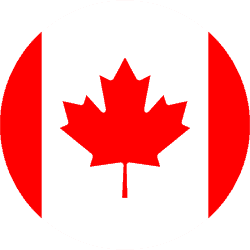 Click to see our Vancouver trips! Proud to be the trusted source for the best fishing trips in BC. Nothing beats local knowledge. 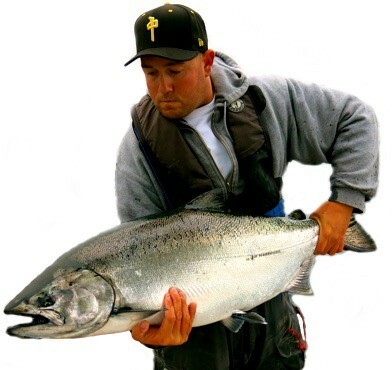 Our staff is made up of BC’s most respected and experienced fishing guides. 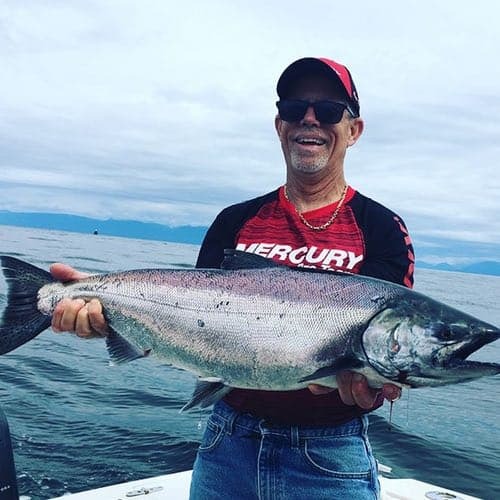 We have of the best BC fishing trips right here and our top rated booking services ensure you always get prime dates, the right pricing and honest advice. Have a look at what our clients are saying and we’ll look forward earning your business. Getting started planning a trip is easy, simply fill out our online contact form or call our office toll-free 1-877-902-3393. We’ll get back to you right away with seasonal availability and specific pricing. We look forward to earning your business, thank you.